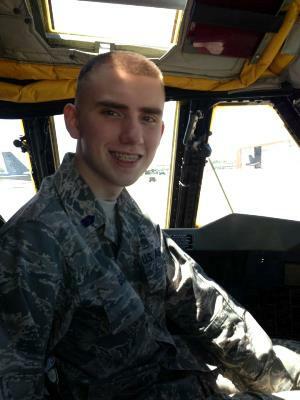 Alexandre Buck, an Air Force ROTC cadet and a freshman in the professional aviation program at Louisiana Tech University, is one of just three Air Force ROTC students in the United States to have been selected to participate in the University of Pittsburg’s Intensive Beginning Russian program this summer on a ROTC Project GO (Global Officer) scholarship. Cadet Buck, who is the first Louisiana Tech student to be accepted into the program, will spend five weeks studying at the University of Pittsburg and then will travel half-way around the world to continue his studies as part of a five-week session at the University of Moscow. A total of twelve students from around the country were selected for the beginning language program, representing Air Force, Army, and Navy/Marine Corps ROTC cadets. Student-cadets who consistently earn grades of “B” or higher, at each level of the University of Pittsburg Russian language program and who are Project GO scholarship recipients, will automatically advance to the next level of language study program without needing to reapply. Those who are successful in reaching the advanced level of the program will be eligible to take the full eight-week, advanced-level course in Russia. The three-course program is designed to be completed in 15 months, but represents three academic years’ worth of foreign language study. Project GO is a Department of Defense initiative that promotes critical language education, study abroad, and intercultural dialogue opportunities for ROTC students. Project GO programs focus exclusively on the languages and countries of the Middle East, Asia, Central Asia, and Africa. According to Lt. Col. Buck, there are 25 American universities administering Project GO scholarships in a variety of critical languages. Only 11 of those schools offer Project GO scholarships for the study of Russian. The University of Pittsburgh is the only of those schools that offers a consecutive three-course program, providing scholarship recipients the opportunity to take beginning, intermediate, and advanced-level Russian. In addition to studying professional aviation, Cadet Buck plans to minor in aviation management, aerospace studies, and now possibly international studies. Originally from San Antonio, Texas, he is also an Eagle Scout and recently won the Sons of the American Revolution Scholarship for being the top Eagle Scout in the state of Louisiana for 2012.